(Yahoo) If the Food and Drug Administration doesn’t see major progress in curbing e-cigarette use among minors, the future of e-cigarettes could go up in smoke. At a public hearing Friday on the elimination of youth tobacco use, FDA Commissioner Scott Gottlieb told the crowd that if e-cigarette use among young people continues to accelerate, the FDA will look into taking the products off the market. “I’ll tell you this. If the youth use continues to rise, and we see significant increases in use in 2019, on top of the dramatic rise in 2018, the entire category will face an existential threat,” said Gottlieb. According to NBC News, the FDA does have the power to take e-cigarettes off the market. The FDA has made extensive progress in cutting down the smoking of cigarettes. In November, the Centers for Disease Control and Prevention reported that smoking rates among adults reached an all-time low in 2017, with just 14 percent of adults smoking cigarettes “every day” or “some day.” That’s a 67 percent decrease since 1965. However, Gottlieb says, the increase in e-cigarette use among youth is sabotaging that success. 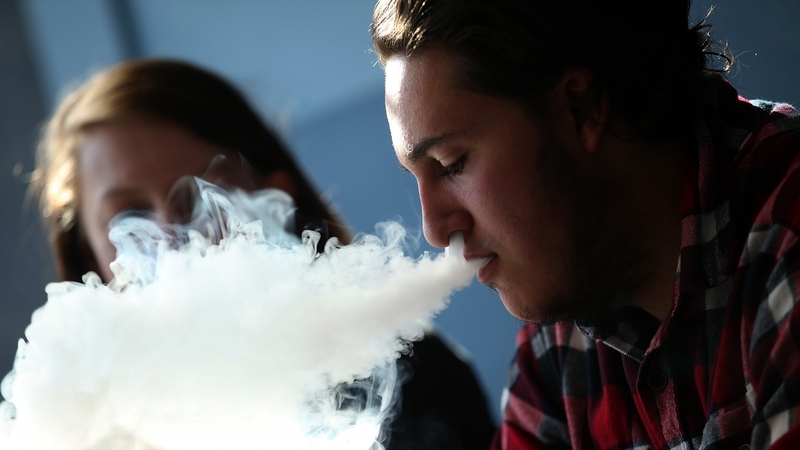 “This progress is being undercut — even eclipsed — by the recent, dramatic rise in youth vaping. A few years ago, it would have been incredible to me that we’d be here, discussing the potential for drug therapy to help addicted youth vapers quit nicotine,” he said Friday. Gottlieb cited statistics about the large use of e-cigarettes by young people, saying that between 2017 and 2018 there was a 78 percent increase in e-cigarette use in high school students, and a 48 percent increase among middle schoolers. That means the total number of middle- and high-school students using e-cigarettes rose to 3.6 million — 1.5 million more than used the product the previous year. He added that more than a quarter (27.7 percent) of high-school-age e-cigarette users use the product regularly, and more than two-thirds (67.8 percent) are using flavored e-cigarettes. “Youth use of e-cigarettes has become an epidemic,” Gottlieb said, adding, “It could be ‘game over’ for some [of] these products until they can successfully traverse the regulatory process. I think the stakes are that high.” Gottlieb also noted that e-cigarettes can be a helpful tool for adults trying to quit smoking traditional cigarettes, and said he hopes to avoid removing e-cigarettes from the market because of the good they can serve in that regard. Additionally, Gottlieb made mention of the many young people already addicted to e-cigarettes. “I’ve heard too many painful stories from parents of teenagers, pediatricians and young people themselves,” he said. “The stories make clear that, for many young e-cigarette users, addiction has already taken hold. Perhaps the kids didn’t realize that what they were inhaling contained nicotine, a highly addictive chemical. Perhaps they simply thought that e-cigarettes were safer than combustible cigarettes, chewing tobacco and other forms of nicotine delivery about which they’d been warned. Perhaps the ‘cool factor’ outweighed other concerns.” A study in the October 2018 American Journal of Preventive Medicine stated that daily e-cigarette use may nearly double a person’s risk of a heart attack. And if taking e-cigarettes off the market is the best way to do that, Gottlieb, at least, seems ready to pull the plug.